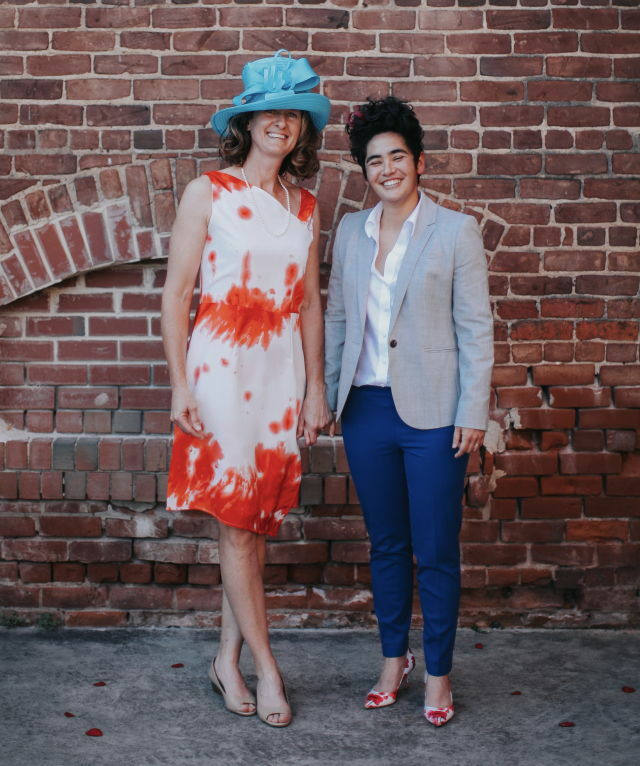 Working from her Durham, NC based studio, professional designer, seamstress, and costumer, Margo L. Scott, creates custom handmade clothing for both women & men. With a degree in costume design, over 25 years experience, and a passion for custom fit garments, she can help you bring your dreams to reality. "I would recommend Rocket Betty to everyone, gorgeous well made clothing and great personalized service. " "I LOVE MY DRESS! Margo did such an amazing job on my wedding dress." "I love my tiki dress; the style, vintage print, and quality! I can't wait to wear it in Hawaii...big family reunion coming up! Thank you so much!" "Love, love, LOVE what I received! Margo worked with me and my short time constraints, and was amazing to work with! She also helped me find the underskirt I needed! Would definitely, without a doubt, work with her again! The dress is gorgeous and fits perfectly!" "I'm really impressed with Margo's design and handwork! I had a dress I spent way too much money on that was droopy and just kind of hung on my body. After looking at it, Margo gave me a few options. We decided on raising the waistline so it hugged my body more and hemming it so it looked more trendy. She also made 2 sashes I could use to dress it up even more and make it more versatile. I've worn it multiple times since and get so many compliments on its uniqueness and fit. She has mad dressmaking skills!!!"